What was considered a major economic and geopolitical threat to the United States just a few months ago is now on the verge of a financial crisis. Russia is facing severe economic repercussions due to the sudden decline in the value of its currency, the ruble. The ruble rapidly collapsed in value from November 24 to December 16, as it soared from an exchange rate of 44.83 rubles for one U.S. dollar, to 67.91. The collapse in currency caused inflation to increase swiftly. Prices are up 10 percent at the time of this article. Russian citizens, unsure of the future value of their currency, are rushing to buy consumer goods now before inflation erases their purchasing power. The rapid changes in currency led foreign businesses, like Apple, to shut down operations completely in Russia. Dealing with the crisis will require evaluating whether the depreciation in the ruble is caused simply by temporary factors that will dissipate soon, or if the currency crisis is a result of more structural flaws in the Russian economy. In an attempt to reverse the fall in the ruble’s value, the Russian central bank hiked interest rates to 17 percent on December 16. Central banks raise higher interest rates in order to attract foreign capital, hoping to gain a higher return on investment in the country. More foreign capital raises demand for the domestic currency causing its value to rise. Raising interest rates is a common move by central banks facing a depreciating currency. It is only a temporary solution, as maintaining high interest rates indefinitely will hurt economic growth. Eventually interest rates must come down when enough capital has been accumulated to prevent a further fall in value for the currency. However, raising interest rates was only temporarily successful as the ruble collapsed in value again from an exchange rate of 52.08 on December 25 to 63.14 on January 12. Forecasts by Goldman Sachs predict the ruble will continue to fall to an exchange rate of 70 in the next three months and remain at 60 in 12 months. Raising interest rates is only a temporary and ineffective solution that does not address deeper economic problems in the Russian economy. While the falling value of the ruble can be partly blamed on economic sanctions placed on Russia by western countries, deeper economic issues are also responsible. These problems are structural and cannot be fixed through monetary policy. They must be addressed with political and economic reforms. One of the structural economic problems most responsible for the ruble depreciation is Russia’s over reliance on oil and natural resources for economic growth. Ever since Vladimir Putin strengthened state control over the energy sector, it has been a vital sector of both the overall economy and government. The state now controls a large share of the energy market and directly benefits from oil and gas production. Over half of Russia’s federal budget is funded by oil and gas rents. Approximately 13.9 and 2.3 percent of Russia’s GDP consists of oil and natural gas rents respectively. This makes Russia more vulnerable to swings in commodity prices as falling oil prices will cause Russian businesses, and the Russian government, to lose money. This is a big problem for Russia’s 2015 economic prospects since global oil prices have plummeted over the past year. Increased production in the United States combined with Saudi Arabia’s refusal to cut back on production has created a supply glut, forcing global oil prices to fall rapidly. The fall in oil prices has simultaneously caused the value of the ruble to fall. The rapid fall in oil prices severely jeopardized an already flailing economy facing sanctions from western governments. It is estimated that Russia needs oil to stay at $105 a barrel in order for its government budget to break even. With prices at the time of this article at around $50, state-run Russian oil companies are facing tremendous losses that are impacting the government. 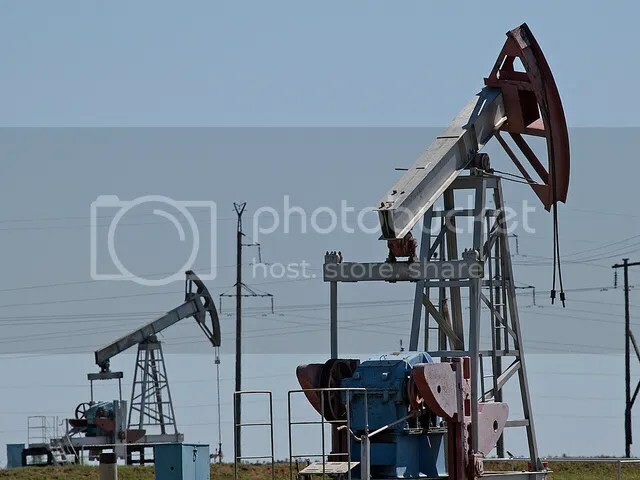 Since the economy is highly dependent on oil, the price drops will affect the whole economy and will most likely send the country into recession. As a result of the loss in revenue and a lower valued ruble, Russia will have to cut back on its government expenditures, putting social and military programs in jeopardy. As oil prices go down, Russia receives fewer rents in the oil industry and therefore has less to spend on accomplishing its domestic and foreign political goals. This makes it less likely Russia will attempt an invasion of Eastern Europe if it cannot even fulfill its budget expectations. Russia is too dependent on oil to be a serious long-term geopolitical threat. The Russian economy has long been oriented towards extracting and exporting natural resources, rather than developing a diversified modern economy. Without other developed economic sectors, Russia is vulnerable to price swings in the commodity market and to eventual natural resources depletion. If Russia wants to prepare for the day it will run out of natural resources, it must diversify its economy. Without a diversified economy, Russia will also be unable to attract foreign investors. The loss in oil prices and sanctions are causing investors to pull money out of the economy at an alarming rate. With less capital in the country, the Russian ruble fell rapidly as demand for the currency fell. Therefore, the currency crises cannot be blamed solely on temporary western sanctions, but on deeper structural problems that will need to be addressed. To address structural problems in the Russian economy, economic and political reforms will be necessary. Unfortunately the state capitalist system of Russia stands in the way of reform. The political institutions of Russia ensure Putin and the Russian elite capture the main benefits of oil profits for their respective agendas. The profits are used by the government for a variety of programs such as the oil stabilization fund, fuel subsidies and building the military. The oligarchic nature of Russia’s political system also directly affects investor confidence in the economy. Given the close nature of the state and private business, many investors are fearful that the state will favor selected businesses at the expense of the rest of the economy. Russia has already directly bailed out Gazprombank by injecting more than $700 million into the bank. The government further showed its commitment to helping out select businesses by allowing companies looking for loans to use the bonds of state-owned energy giant Rosneft, as collateral. This move essentially finances Rosneft with an influx of rubles. Such a move made investors worry that Russia will continue to bail out favored businesses during economic troubles, jeopardizing the whole country. Such crony capitalism poses a huge threat to Russia, as it not only guarantees Russia will remain an extraction economy, but it also makes investors fearful of competing against favored state businesses. If oil prices rebound quickly, such as they did in 1998 and 2008, then Russia will recover. Russia will still be open to price swings in the future but, for the moment, will be able to continue to grow its economy. However, it is unlikely that prices will be able to rebound enough. Since oil wells are difficult and costly to shut off, even with price decreases it is unlikely that production will stop and bring up prices. Crude Oil Brent Futures trades currently indicate that prices will not reach $60 a barrel until October 2016 and will not even reach $70 until as far out as 2023. These prices are well below what the Russian government needs to break even on its budget. This will prompt budget cuts and reevaluations of what Russia hopes to accomplish in foreign relations. While this situation could change, the market predicts Russia is facing a bleak future. Without structural changes to the economy, the Russian bear will be vulnerable to future oil bear markets. Ebel, Robert E. The Geopolitics of Russian Energy: Looking Back, Looking Forward A Report of the CSIS Energy and National Security Program. Center for Strategic and International Studies. July 2009. ← THE PECULIAR CASE OF KHORASAN: MORE DANGEROUS THAN ISIS?